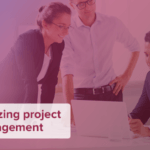 Regardless of whether you use special tools for tracking your resources activity or not, it is an absolute truth that you definitely need them to make your project and resource management more efficient. You can find different options on the software market, but as a result you will get one more additional tool/client/solution, which you have to synchronize with all the other specialized software you already use. Your Microsoft Dynamics CRM 2011 or 2013 can be extended with any amount of Tracking Apps you need. Using proRM Tracking Apps, you will be always in one single synchronized environment saving time, money and reducing your management efforts. You can always extend or reduce the amount of Tracking Apps you use and to pay only for what you really need. proRM Tracking is the basic app to start tracking time and expenses within the company. The easy interface looks like a calendar with different modes. It is very colorful and understandable for users even without experience in making bookings and tracking expenses. The app handles weekends and public holidays as well as specific working schedules, which can be individually set up. 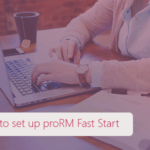 proRM Fast Tracking helps to create bookings immediately during the working day and is easily reachable in different menus within CRM. proRM Tracking Manager is an important tool for managers, who want to control the bookings of employees, to edit them, or to create ones independently. proRM Outlook Tracking is the necessary app to have synchronized information in all the systems and to track time and expenses without leaving MS Outlook. proRM Windows Tracking is one of the most useful tools for managers, who used to exploit tablets and Windows 8. On-the-go principles of work will allow you to track time and expenses even when out of the office and on business trips. proRM Windows Phone Tracking is the specially designed tracking client to help managers and employees to have all the tracking possibilities in hands. proRM Web Tracking iis the Cloud service for tracking activities while having just an Internet connection. What can be easier? If you are still not sure, which proRM Tracking Apps suit your business processes better, ask our experts here. All the consultations are free of charge and without obligations. You can request the proRM Freemium Edition with proRM Tracking included and use it for one year absolutely for free. If you are a fan of the Cloud, our 24-hours Online Demo is for you! proMX GmbH in cooperation with well-known companies moves forward an international ideas and experience sharing. One of the most important specialized congresses for project managers will take place this year on 28-29.10.2014 in Nuremberg.